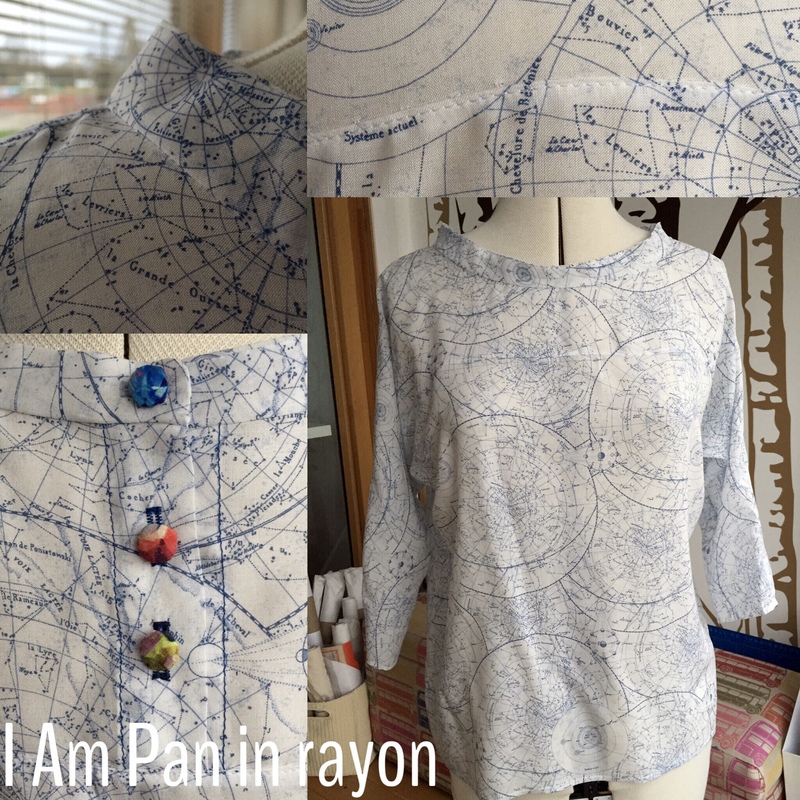 This is my second version of IamPan from the fabulous French company I Am Patterns. My first version is in broderie anglaise and much loved and worn. 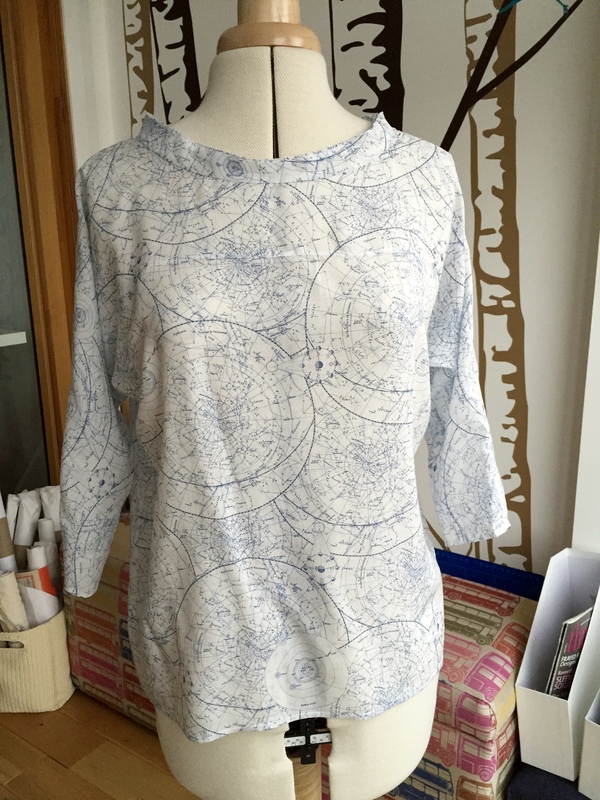 I’ve also made the Cherie-Cherie in a heavy striped jersey and a cocoon version of the Apollon sweatshirt dress. 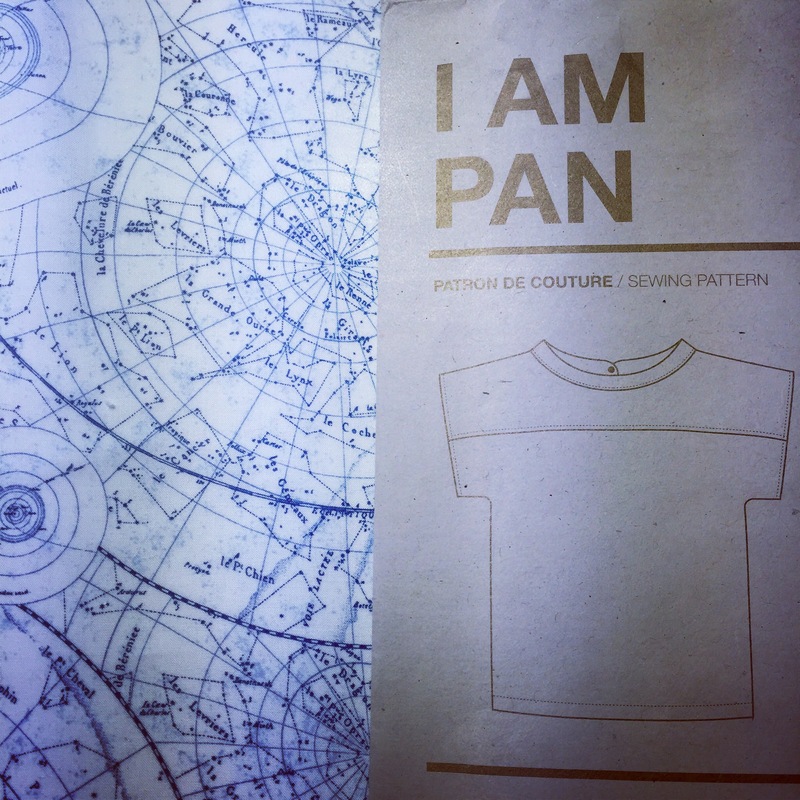 This Pan is made in a chiffon weight rayon (or viscose depending on where in the world you live) that I’ve had for ages. I think it came from Mandors in Glasgow. I made all the same adjustments as the first one. The biggest challenge with this one ended up being the pattern matching- I didn’t quite think that one through before I started. 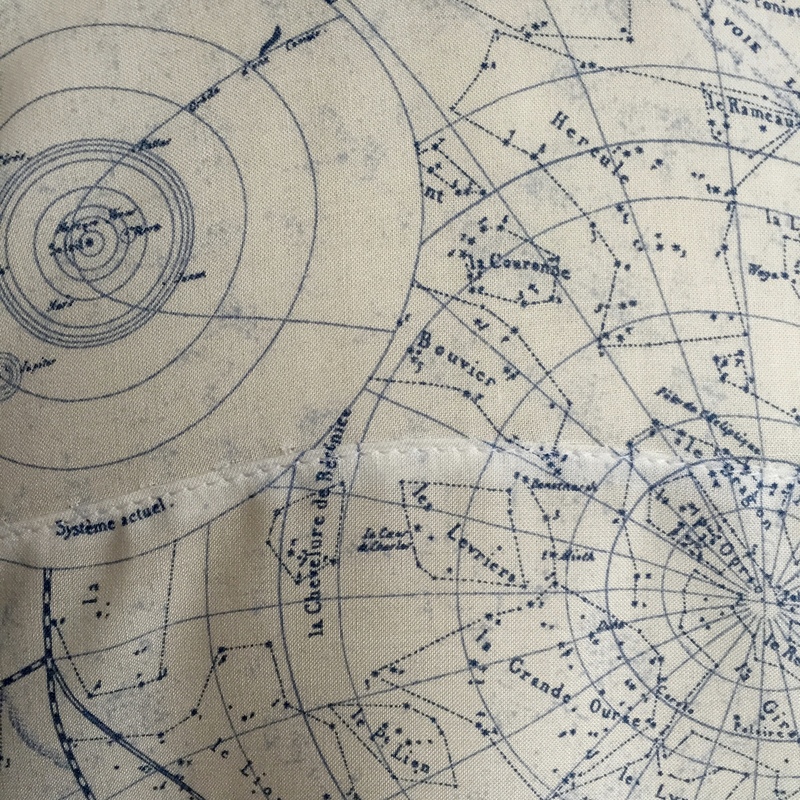 The print is beautiful and very detailed which pretty much equaled nightmare pattern matching. 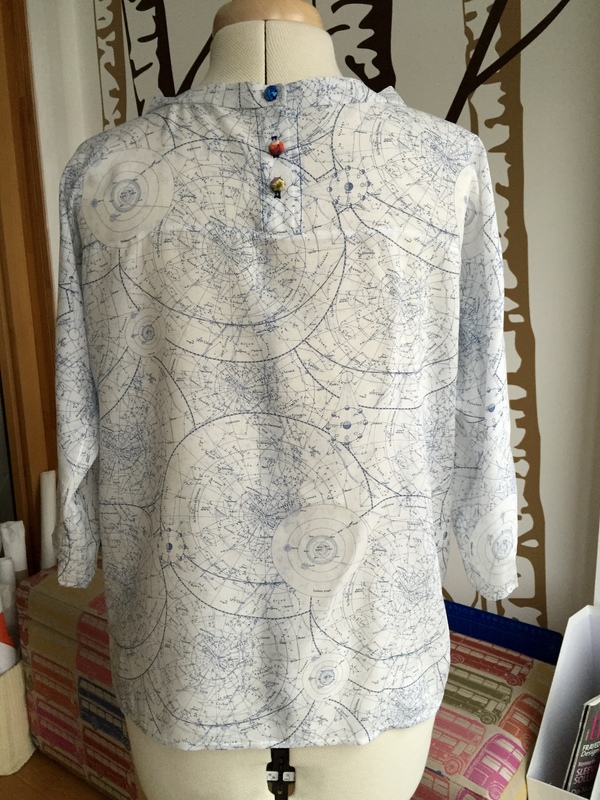 Normally I would use French seams on a fabric as sheer as this but the underarm curve at the kimono sleeve ruled that out as did the pattern matching at the yoke pieces. 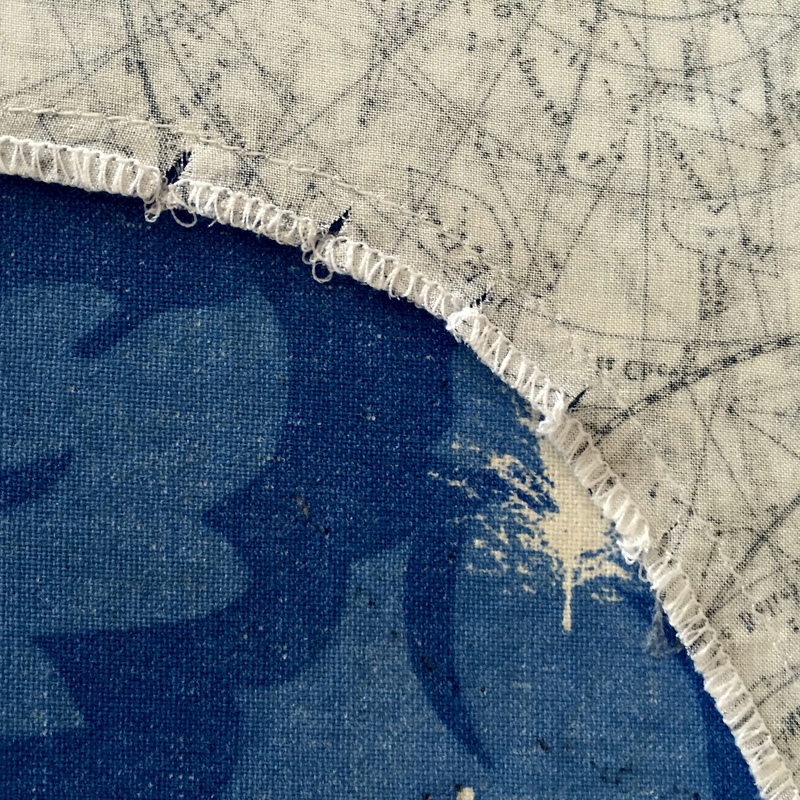 I cut the main body pieces and marked in the stitching line across the top edge and laid them onto the uncut fabric to find the matching point in the pattern. Then I folded the bottom edge seam allowance out of the way on the yoke pieces, pinned the top edge, removed the main body pieces, pinned the rest of the yoke pattern and cut them out. It wasn’t possible to sew these pieces together by stitching right sides together because I couldn’t see if the patterns lined up. 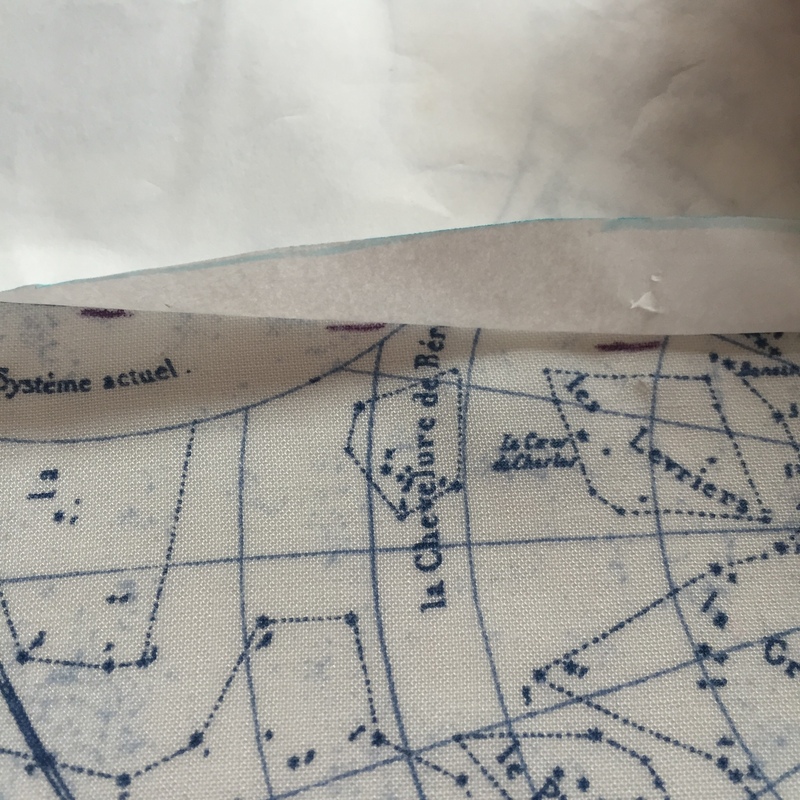 Instead I pressed the seam allowance under on the yoke, pinned and hand slipstitched the pieces together before topstitching and overlocking the edges (setting on my Janome for this fabric were 5589, df1.5). 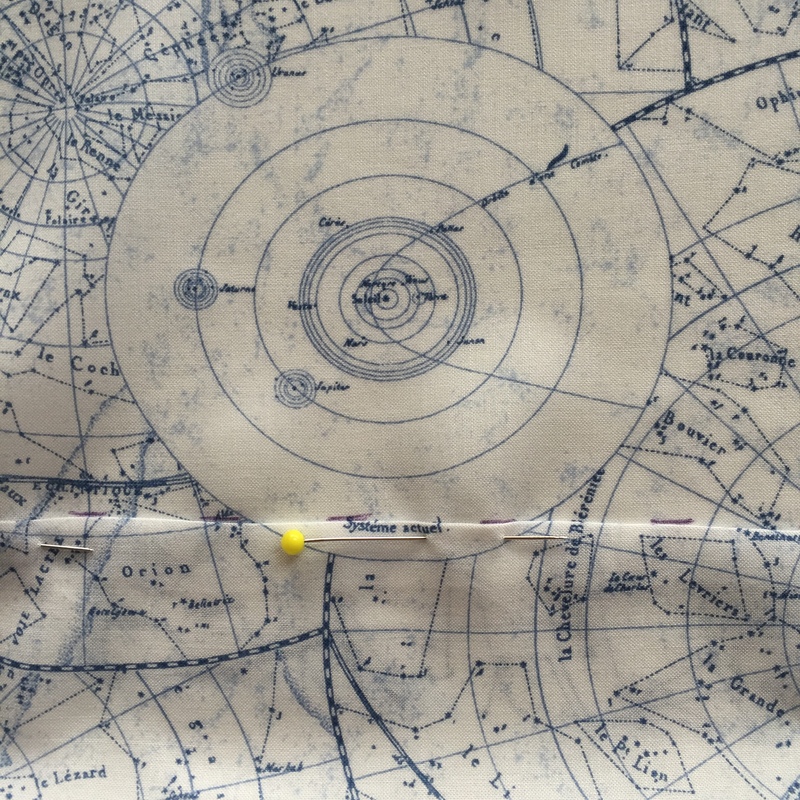 Time consuming but the only way to get a precise match on this fabric. 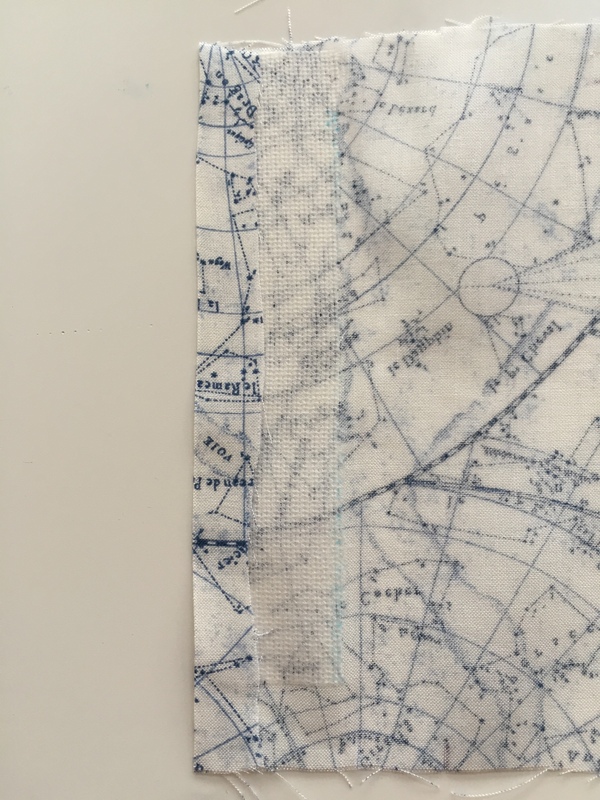 Because this fabric is very lightweight I added lightweight, knit fusible interfacing to the buttonhole placket before stitching it to give a bit more stability. The side seams were more straightforward. I clipped the underarm curve before overocking to get them to lie flat. 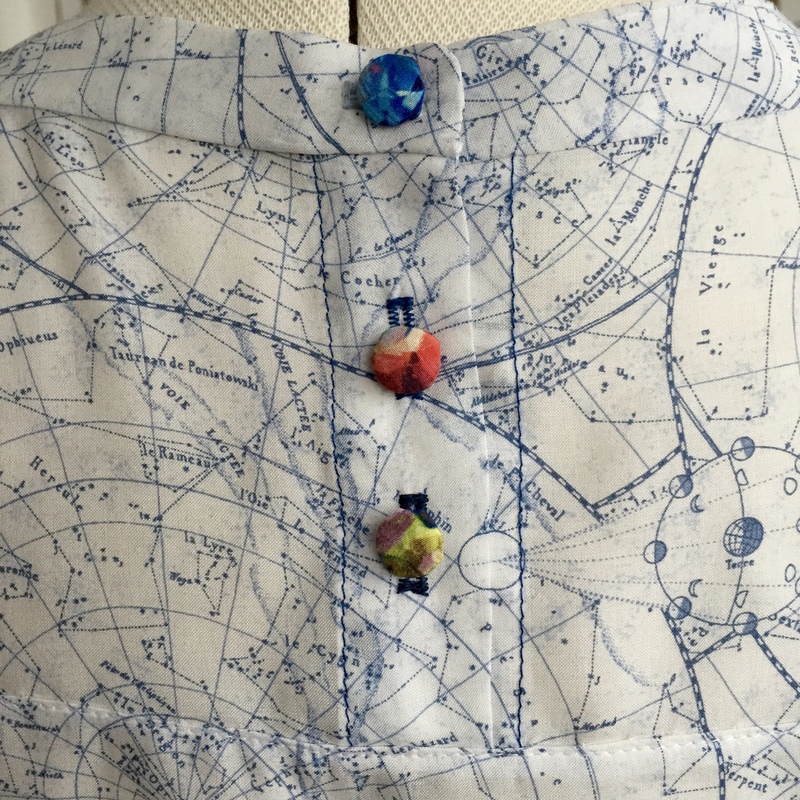 The buttons are covered in scraps of Liberty silk crepe de chine left over from my Tilly and the Buttons Margot pj bottoms. It’s another top I love to wear- drapey and sheer. What’s not to love?